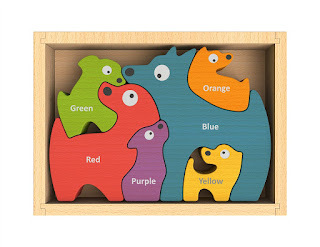 - BILINGUAL TODDLER PUZZLE - Let kids learn colors and their names, improve motor skills and stretch their imagination with a fun family of dog puzzle pieces! 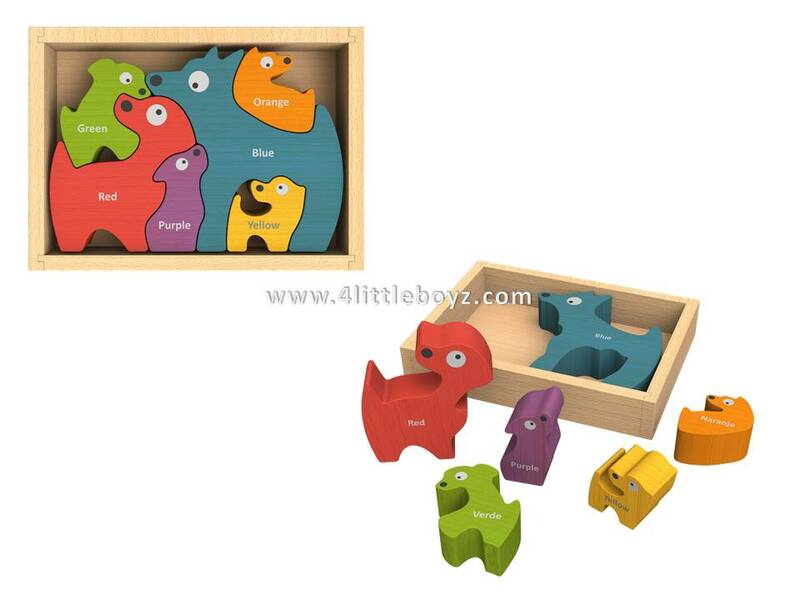 - EDUCATIONAL TOY FOR 2 YEAR OLDS AND UP - Play with puzzle pieces individually, use them as stencils or toddler bilingual learning toys, or complete the puzzle! Each piece has the color name in English on one side and Spanish on the other to build your child's bilingual language skills. - ECO-FRIENDLY CHILD'S TOY - Handcrafted from plantation-grown, sustainable rubberwood, BeginAgain Dog Family Puzzle for toddlers is made from plants NOT plastic, for a healthier planet and healthier kids. 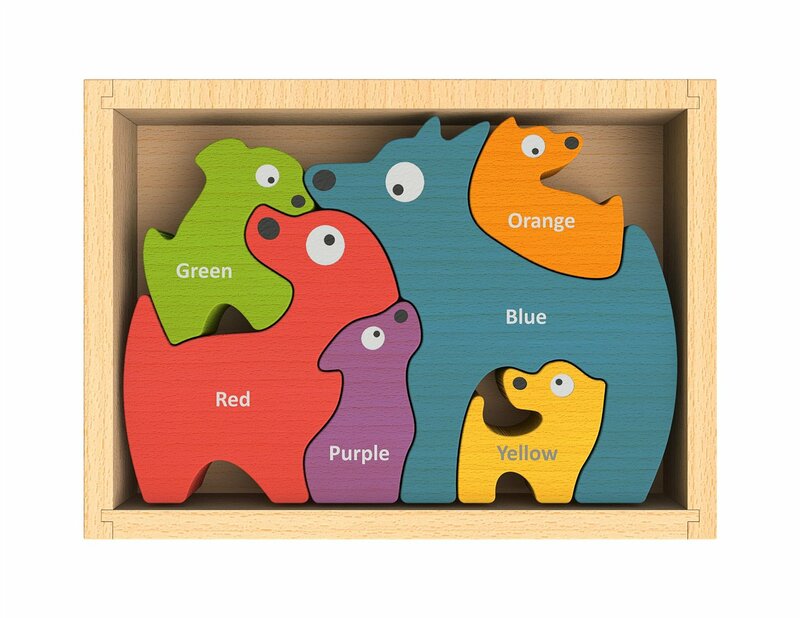 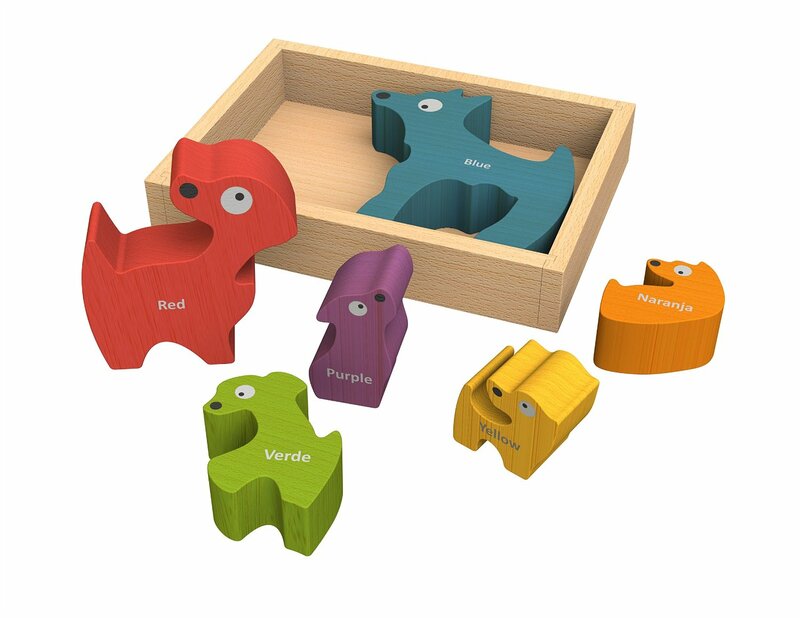 - PLAY AND DISPLAY - BeginAgain Dog Family Puzzle educational toy for 2 year olds and up includes six dog-shaped puzzle pieces that fit in a 6.5" wide x 5" long tray for storage, travel or to display between playtimes.